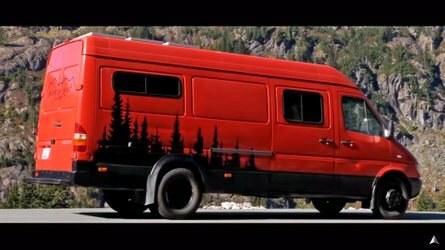 The long-awaited reveal should be just around the corner. 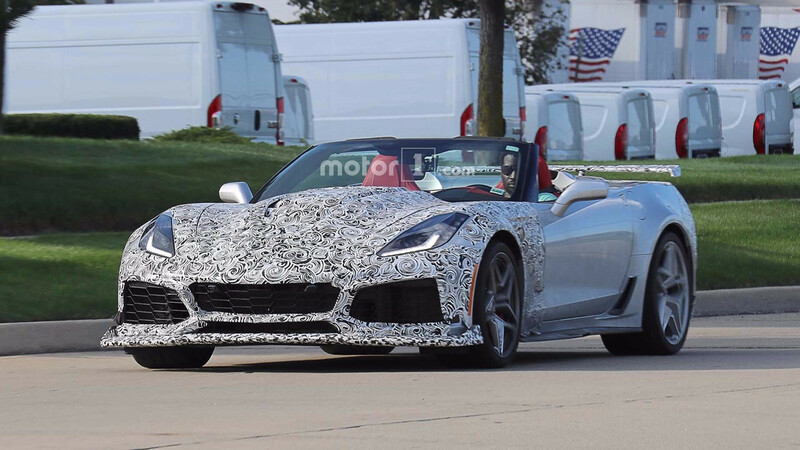 A new King of the Hill Corvette ZR1 could soon be upon us. 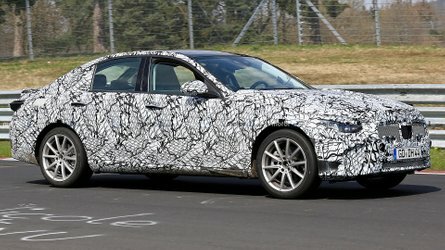 Of course, that title refers to the C4 ZR-1 Chevrolet built from 1990 through 1995, but it could well apply to the new car should rumors about the new LT5 DOHC V8 prove true. 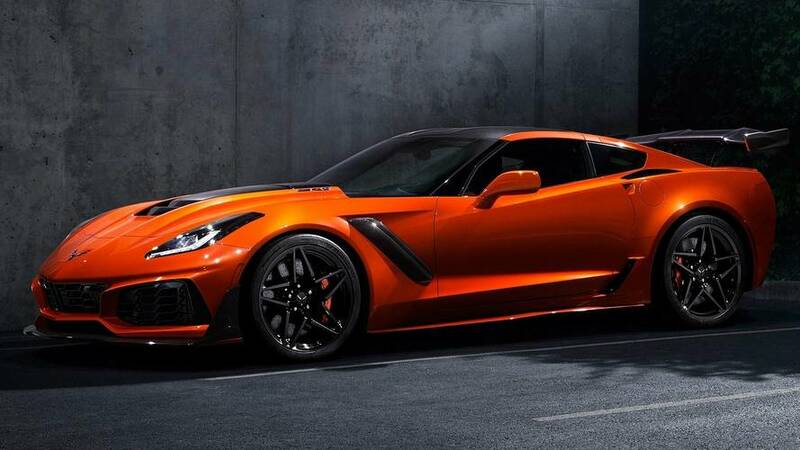 Right now things seems to be split 50/50 as to just what engine the new ZR1 will get. 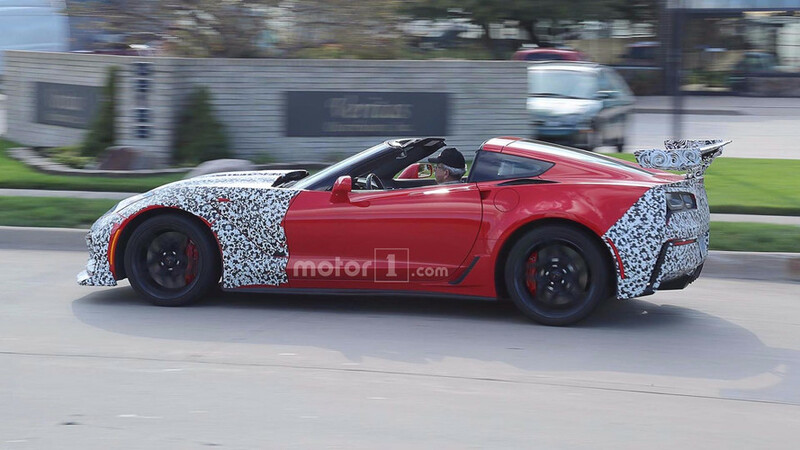 We know the DOHC mill is coming for the Corvette, but we might not see it until the next-generation C8 model. 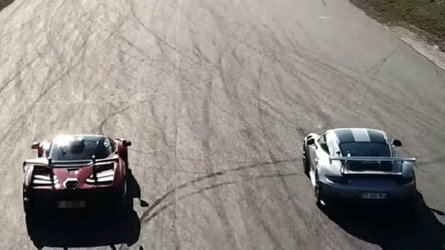 If that’s the case, the ZR1 will use a tweaked version of the LT4 currently powering the Z06 and Camaro ZL1. 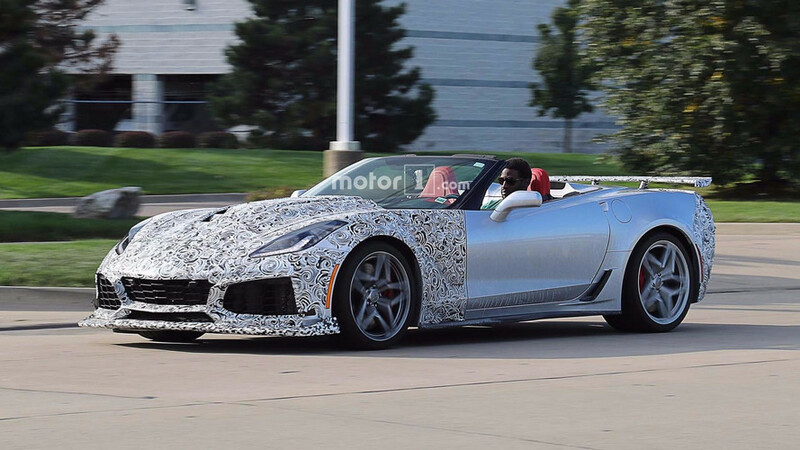 It should also be noted that the LT5 is likely a naturally-aspirated engine, which would be a good fit for the next-generation mid-engined Corvette but may not make the hefty horsepower people are expecting for the ZR1. 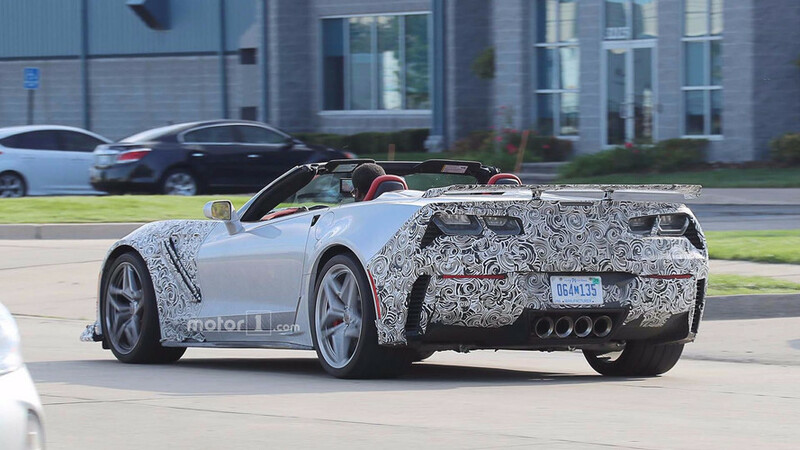 At the same time, GM has confirmed the LT5 for the 2018 model year, but the new Corvette isn’t slated until 2019. So yeah, the plot thickens. In the meantime, we can enjoy these shots of a ZR1 convertible and targa top enjoying some roofless weather. 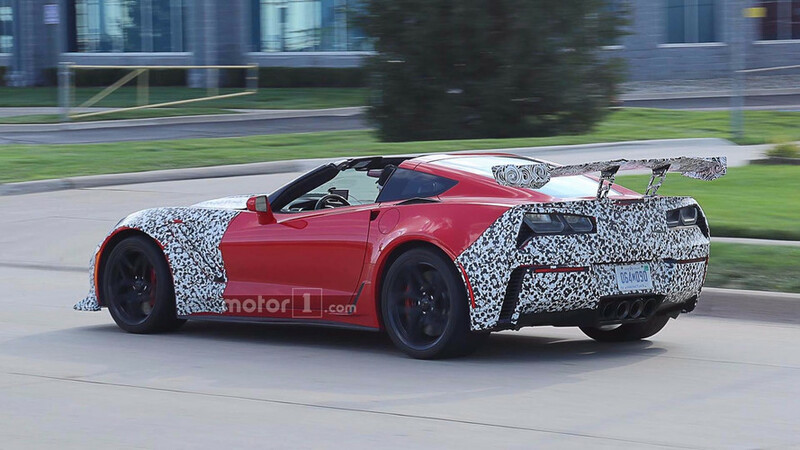 More of the hypnotic camo has been shed from the sides, though it doesn’t really show much difference from the current Corvette. The profile shots give us a neat look at the ZR1’s raised hood, which certainly suggests something big and powerful exists underneath. 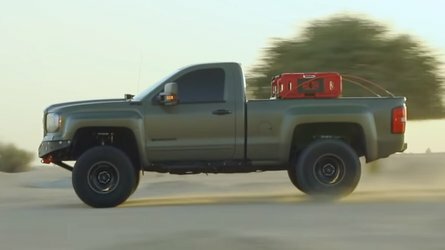 It sure would be great to see a boosted LT5 making 700-plus horsepower in there. When will we finally get full disclosure on the ZR1? It’s going to be the swan song for the much-loved C7 generation, so we know it’s coming soon. 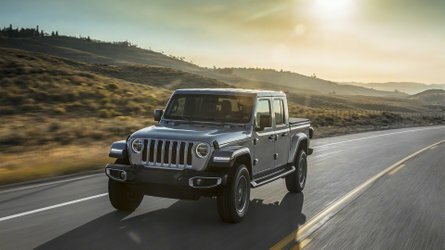 If Chevrolet doesn’t pull the blanket back at this year’s Los Angeles Auto Show, it’s almost a guarantee it will appear at the Detroit show next January.